KTM Philippines recently treated motorcycle riders of varying stripes—novice, advanced, and experienced—to KTM track day that allowed them to experience the ready-to-race DNA of the iconic Austrian bikes. 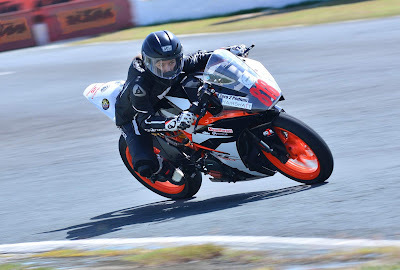 Held at the Batangas Racing Circuit in Rosario, Batangas, a whole line of KTM demo bikes were made available to participants for a test ride, including the 390 Duke, the 690 Duke, the 790 Duke, and the 1290 Super Duke GT. Participants were able to feel the full power and performance of the bikes in a safe and controlled environment. Aside from the test rides, Joey Rivero, a former Philippine Superbike Championship Factor Racer, shared his biking know-how and riding skills, participants. Rivero conducts precision riding training classes for every type of motorcycle rider – on the track, on tour or on the street. KTM Asia Motorcycle Manufacturing, Inc. (KAMMI), the proud local manufacturer of KTM motorcycles in the country, is a joint-venture partnership between Adventure Cycle Philippines and KTM AG of Austria.